Both high and low blood pressure as well as cardiac arrhythmia and myocardial disease can lead to insomnia. Sleep disorders could also be caused by the nasal airway for example if you have a nasal septum constriction. Snoring also prevents deep sleep. An improper diet and/or heavy meals at a late hour can be extremely hard on the digestive system. Indigestion can, in turn, lead to sleeplessness and stress. Consumption of caffeinated beverages at a late hour can also lead to difficulties falling asleep. In fact, caffeine and other stimulants (e.g. chocolate, sugar) may interfere with sleep even if they are consumed earlier in the day. The same applies to the excessive consumption of alcohol and tobacco. Medications can also cause insomnia. Physical stress can upset hormonal balance. For example, too much adrenaline keeps the body on high alert. In this sort of agitated state, it cannot sleep well. It is normal to be afraid. However, it’s crucial to be aware of our fears and to keep them in check rather than letting them wear us out. When we allow our fears to take up more and more of our time and concentration, they become overwhelming and all-consuming. Often, they become the first thing we think of in the morning and the last thing we think about at night. When this is the case, the tension and worry we experience as a result interfere with sleep and, often, cause insomnia. Emotional stress is most commonly caused by an excessive workload, pressure to perform (exerted by oneself or others), bullying, or excessive ambition. Conflict in relationships is another frequent source of stress, especially in relationships which are emotionally and/or physically abusive. Sleep disorders are a natural result of these kinds of pressure. Burnout syndrome may also result from these pressures since mental exhaustion often precedes the onset of physical symptoms. External factors often go overlooked. Yet these factors also affect the quality of our sleep. the quality of our mattress, its location, and other environmental factors are key to achieving the rest we need. When asleep, a body is at its most relaxed and it is key to avoid anything that might interrupt this relaxation. For this reason, if possible, we recommend a bed frame made of natural materials and without metal. Metals are electrical conductors. Accordingly, they can create frequencies that interfere with sleep. 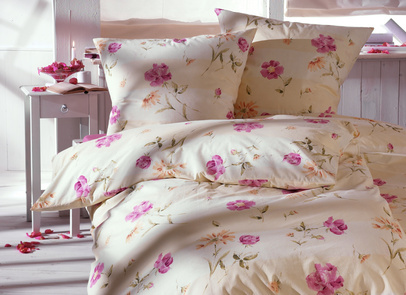 Your bed sheets and duvet also support healthy sleep if they’re made of natural fibers. Your mattress is particularly important: it should be free of plastics and should conform or be adjustable to the body’s ergonomics. At the same time, it needs to be breathable: we can produce up to a half liter (a little over a pint) of sweat during the night and it needs to be able to evaporate through the mattress’s layers. Like the mattress, bedding materials (sheets, pillows, blankets, duvets, comforters, mattress pads) should be 100% natural and free of plastic. Bedding containing plastic can produce static electricity, which in turn may disrupt sleep. Power cords on, under, or around the bed are especially problematic and should be avoided. Lights that are integrated into the bed (for example, attached to the bed post or headboard) are a problem as well, even if they are switched off. The location of your bed really is important. It is, for example, better for our peace of mind if we position our bed so that we can see the bedroom door (with the head away from, rather than facing, the entrance). Although we may not be aware of them, we still retain ancient behavioral patterns and responses. The understanding that someone could enter the room without our knowledge unconsciously puts us in a state of high alert and effectively diminishes our ability to achieve deep sleep. When geopathic stress or water veins are present, your bed’s location is also crucial. You can read more about this in the section on “Water Veins” and “Earth Rays.” Finally, if at all possible, we recommend that you orient your bed in a north-south direction. This puts your body in line with the Earth’s magnetic field, which promotes deep sleep. Is your bedroom located on a main road or near a nightclub? Do you live in a busy city or near a busy highway, airport, metro station, or railroad? Even if you believe that you have long since gotten used to the noise and sleep well in spite of it, please remember that your subconscious hears everything. Frequently, we incorporate external noise into dream sequences as irritants. These irritants need to be kept to a minimum for us to achieve deep relaxation and avoid insomnia. Electromagnetic influences constitute the strongest and most dangerous source of sleep disorders. Electrosmog is especially dangerous because we can neither see nor hear it. As a result, people often fail to take it seriously. Yet numerous studies have shown that electromagnetic pollution can lead to sleep disturbances as well as illness. In order to lessen exposure , rid your bedroom of electrical devices. If you have a bedside lamp, unplug the lamp before going to bed—even if it is turned off, it will continue to emit frequencies if it’s left plugged in. To read more about the effects of electromagnetic pollution, please consult our pages on electrosmog. The SlumberBuddy offers a remedy for insomnia caused by electromagnetic influences and ensures deep sleep. A full home harmonization by Swiss Harmony will also ensure that you sleep well. Like electromagnetic radiation, water veins and earth rays are neither visible nor audible. Yet they do negatively impact the quality of your sleep and adversely affect your health. If I can’t sense these problem areas, you ask, how do I know if they are present in my bedroom? And if so, how do I know where they are? One way to find out is to call a dowser—or you can help yourself with a little trick which we’ll share with you when you register for our newsletter. The SlumberBuddy or a full home harmonization by Swiss Harmony are available as remedies for sleep disorders caused by water veins and earth rays. Additional information on water veins and earth rays can be found on our corresponding informational pages.